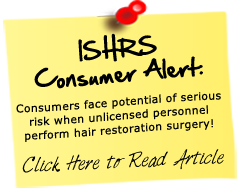 https://hairrestore.com/are-you-a-candidate-for-hair-transplant-surgery-in-scottsdale-at-physicians-hair-institute/ There are three main factors we consider in determining a good candidate for hair transplant surgery: current hair loss pattern, health, and future hair loss. Since hair transplant surgery is a surgical technique using local anesthetic, good candidates for this procedure are reasonably healthy, have significant thinning and hair loss, or hairline recession. We can also repair scars left by other cosmetic surgeries such as a face lift, or from other causes. There are no age restrictions, but it is preferable that a patient be 25 years of age or older before considering the surgical option. There may be exceptions, one being if the medication stabilizes the pattern. During the initial hair transplant exam, Dr. Keene will evaluate existing hair loss and will estimate future hair loss based on your risk factors. Since hair is normally transplanted from the sides and back of the head, it is important that you have sufficient hair available to achieve your desired results. Dr. Keene will provide each patient with information so that they can determine whether hair transplant surgery and/or medical treatment may best suit their needs. Dr. Keene at Physician’s Hair Institute performs State of the Art Surgical Hair Transplant Surgery and has helped pioneer the most advanced hair transplant techniques anywhere, and using the latest hair replacement surgical techniques, you can have your natural hair back – PERMANENTLY. See the website http://hairrestore.com/ for a Hair Transplant Surgery Physician in Tucson Arizona for an appointment with Dr. Keene.